Our alumni work in roles as varied as policy advisers, opinion leaders, medical professionals, scientists, dentists, allied health professionals, psychologists, sports professionals and pioneering social change advocates. We continue to be amazed by their impressive achievements, which we showcase annually at our Outstanding Health Alumni Awards Presentation. 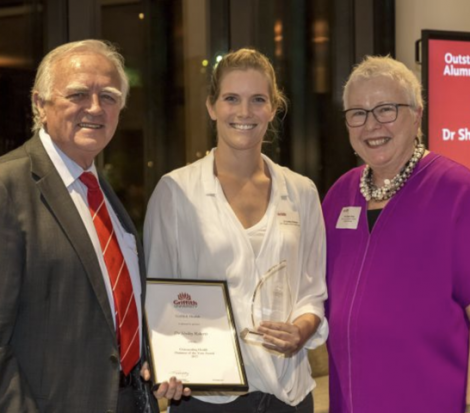 Gabrielle Quilliam is an international thought leader in paediatric palliative care, and with her husband, co-founded the only children's hospice in Queensland, Hummingbird House. Ms Quilliam is a non-executive director of Health Consumers Queensland and a non-executive director of the international charity, Butterfly Children's Hospice. She is also a foster parent caring for complex needs children. Prior to this, Ms Quilliam worked for a humanitarian non-governmental organisation, Medair, as part of a mobile medical response team in South Sudan and Angola. 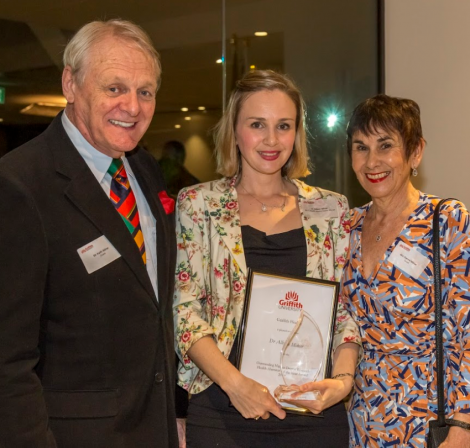 She has received a Premier's Award for her community service and was 2017 Queensland State finalist for the Australian of the Year Awards. Ajitha Naidu Sugnanam is squadron leader in the Royal Australian Air Force and one of only a handful of dentists Australia-wide to hold the position. Ms Sugnanam has excelled in her chosen profession of dentistry and dedicated herself to humanitarian work nationally and internationally. Ms Sugnanam has volunteered her services in Vietnam, India and Cambodia, assessing and treating hundreds of children, and in 2014, went on a humanitarian mission to Nepal to teach medical interns dental procedures. Every year Ms Sugnanam returns to India on self-funded trips, bringing basic health care to remote areas in India. Shirley Tay is director of nursing at Mount Alvernia Hospital in Singapore, and part of the hospital’s executive team, dedicated to building affordable and safe healthcare. Ms Tay is also involved in the hospital’s outreach programs that care for the underprivileged in Singapore and Cambodia. She has 38 years’ nursing experience across medical clinics, private and restructured government hospitals, clinical quality, clinical informatics, healthcare management, operating theatres, ambulatory services and the Joint Commission International Standards. 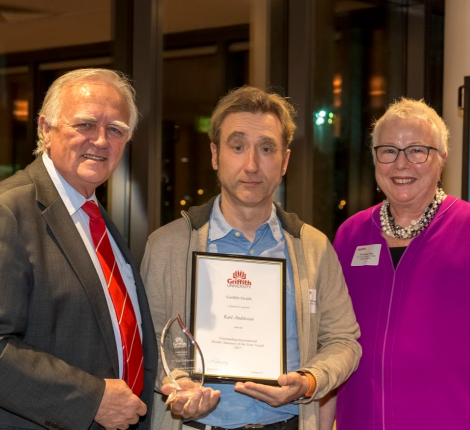 One of less than 20 male Aboriginal registered psychologists nationally, and a strong Gamilaroi man, Clinton Schultz founded, Marumali Consultations, providing culturally responsive social and emotional wellbeing support services to Aboriginal and Torres Strait Islander communities. Mr Schultz consults on organisational cultural responsiveness and on the Queensland Child Deaths Case Review Panel. He also mentors Aboriginal and Torres Strait Islander men and university students. Dr Shelley Roberts graduated from Griffith University with a Master of Nutrition and Dietetics in 2009 and a PhD in 2015. Shelley is leading the development, evaluation and translation of an innovative new technology to engage hospitalised patients in their nutrition care. 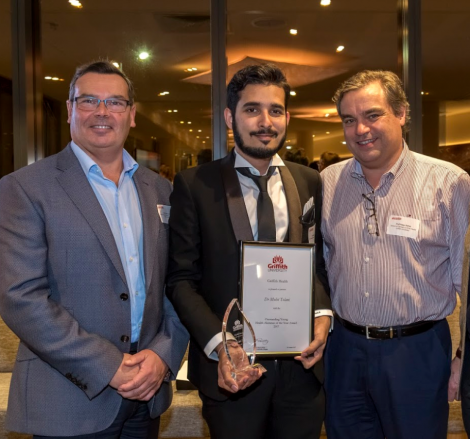 Dr Mohit Tolani graduated as a dentist from Griffith University in 2016.This year Mohit started the ‘SheppHealth’ project, delivering dental and general health information to high-school and TAFE students in the Greater Shepparton region. He also provides a regular mobile dental service to elderly residents where access to this service is unavailable. Karl Andriessen graduated with a Master of Suicidology from the Australian Institute for Suicide Research and Prevention, Griffith University in 2006. Karl has been working in suicide prevention-postvention nationally and internationally for 30 years. 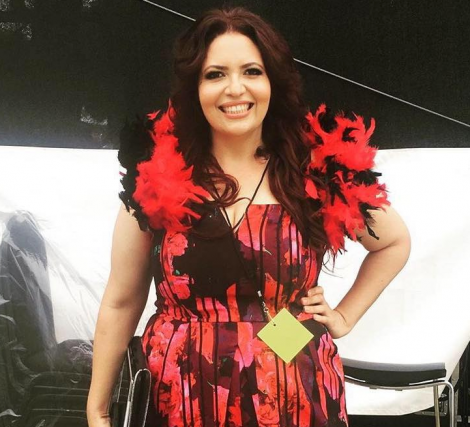 Rochelle Pitt graduated with a Bachelor of Nursing from Griffith University in 1996. As a Renal Care Nurse and Coordinator, Rochelle has made outstanding contributions to Aboriginal communities. For over 25 years, Rochelle has integrated her music and work to support personal and community health. Dr Allison Milner was awarded her Ph.D from Griffith University in 2010. She is the National Academic Director of Mates in Construction, an internationally recognised suicide prevention program for males employed in the construction industry, and has published over 100 papers. The Health Group Outstanding Alumni Awards celebrate the outstanding success of our graduates.